The new Hobby Boss Embraer EMB-312 kit inexplicably does not have marking options for Brazil; the manufacturer and primary operator of this very successful turbopro trainer. 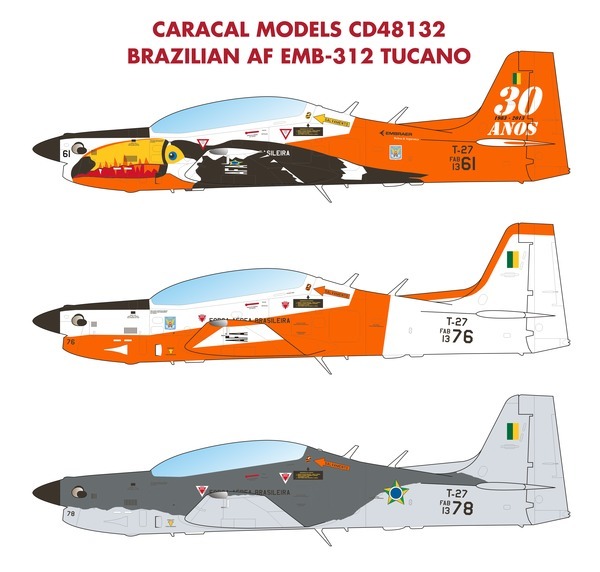 This sheet for the Tucano provides three different marking options for Brazilian Air Force aircraft, including the spectacular 30th anniversary special scheme applied during 2013. This limited edition decal sheet was designed to fit only the Hobby Boss 1/48 EMB-312 Super Tucano kit. 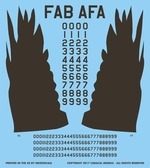 It was professionally screen printed by Microscale in the US.